The pen-shaped multi-talent Beyu Color Touch Lip Biggie is for all-round beautiful and well-cared lips! It combines the advantages of a lipstick, lip gloss and lip balm in one product. Woila! Appeals for its wonderfully creamy texture. 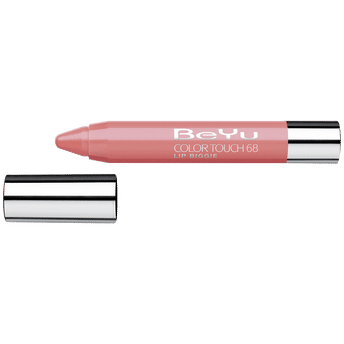 Alternatively, you can also find many more products from the BeYu Color Touch Lip Biggie range.